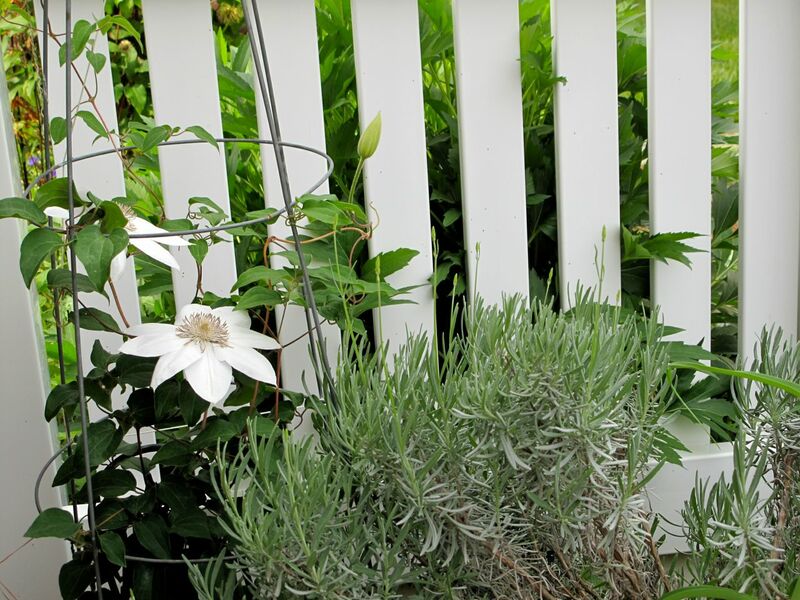 The white clematis looks so great against the white fence. 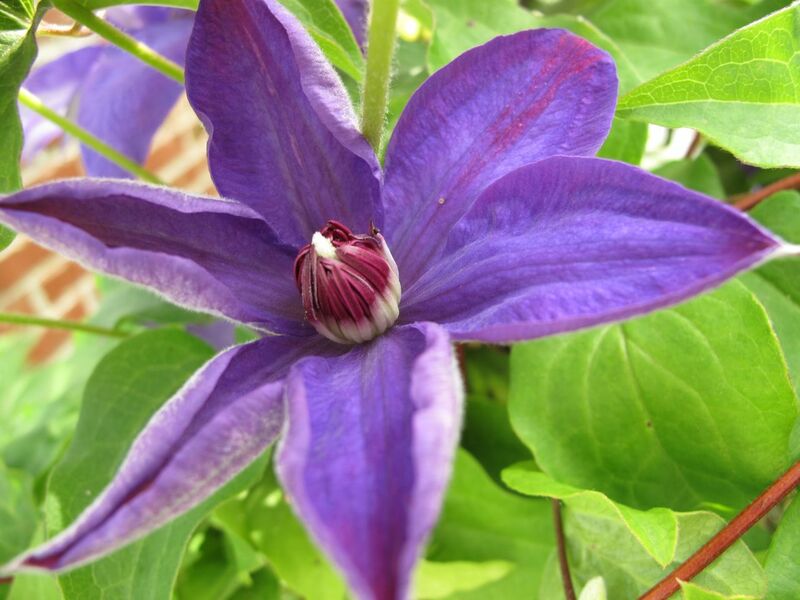 I bought my first Clematis (other than Armandii) the other day. Don’t know what’s taken me so long. I wonder which one you bought? I’ll check your blog. I’ve had several that didn’t last more than a year–probably not ideal locations. Hoping these will be happy. Your circle is truly beautiful. It must feel good to see how your dreams for it have come true. Thanks very much John. I’ve enjoyed the labyrinth but am still working out the planting details of it. 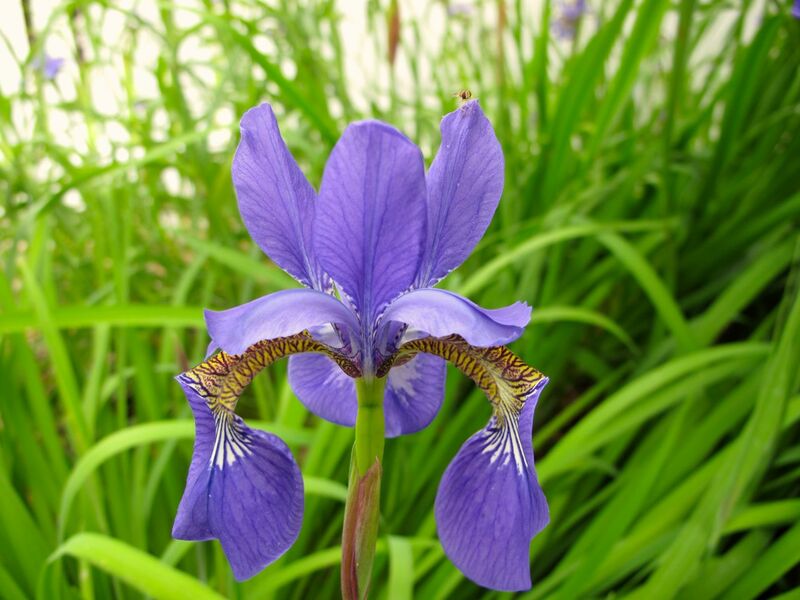 Your Peonies are gorgeous Susie – we are much further behind you, Bearded Irises have only just opened although I have a couple of Siberian Irises just opening too. 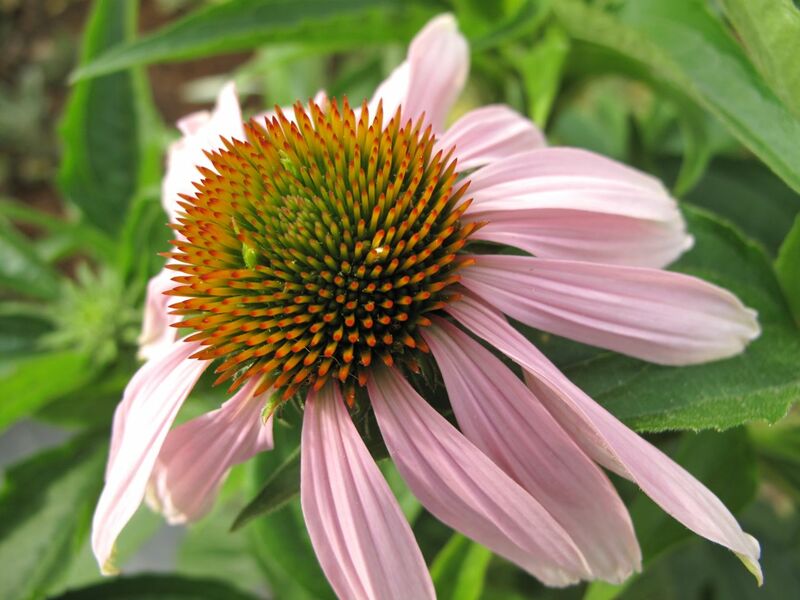 I planted Echinacea and an Achillea millefolium ‘Cerise Queen’ yesterday as small plants and hoping they catch up quick and flower this Summer. Thanks Julie. 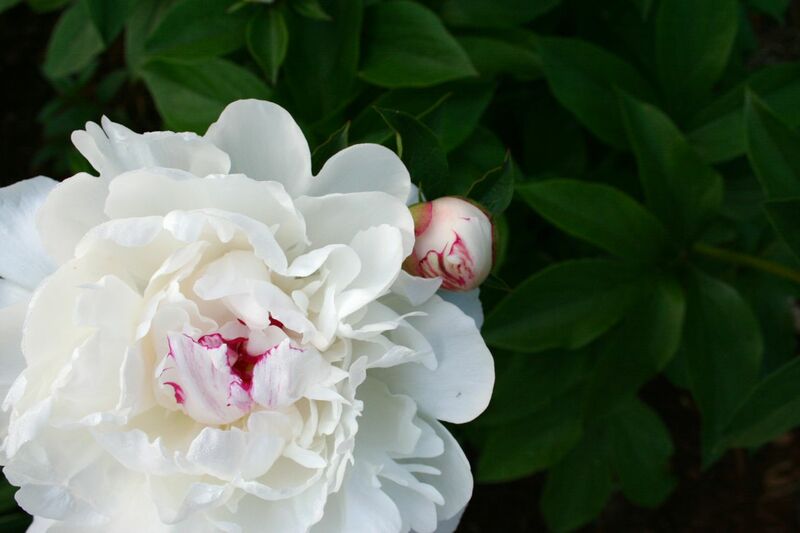 I definitely am enjoying the peonies this year more than ever before. You have many nice things to look forward to. 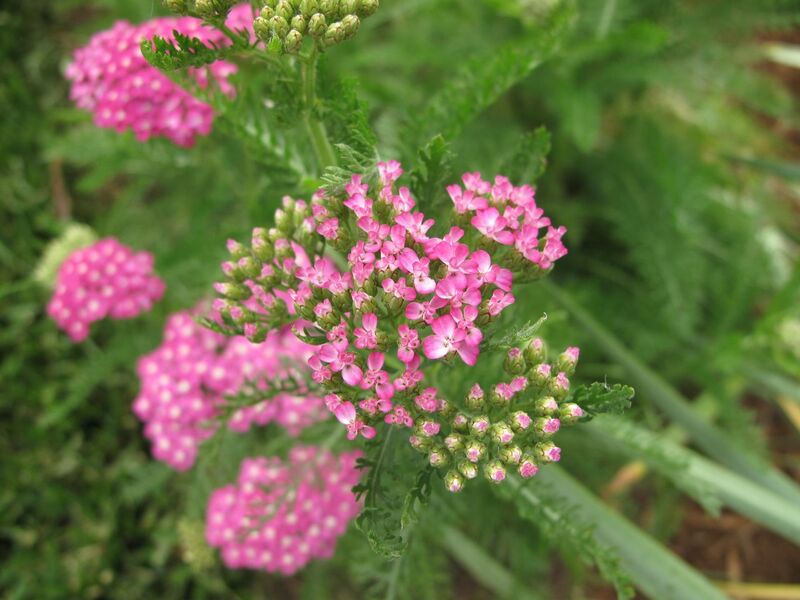 From the pictures I found online ‘Cerise Queen’ looks similar to the one I have. Hi Matt. The circle’s red coat must soon go but I have enjoyed the richness it adds to the garden. Really am excited about the new clematis. 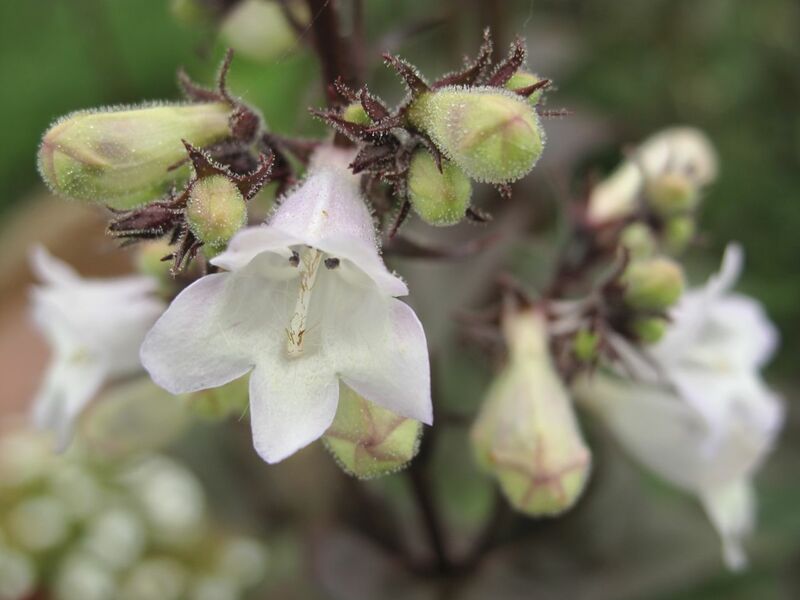 Fabulous photographs to share your beautiful garden with your fellow bloggers/gardeners. 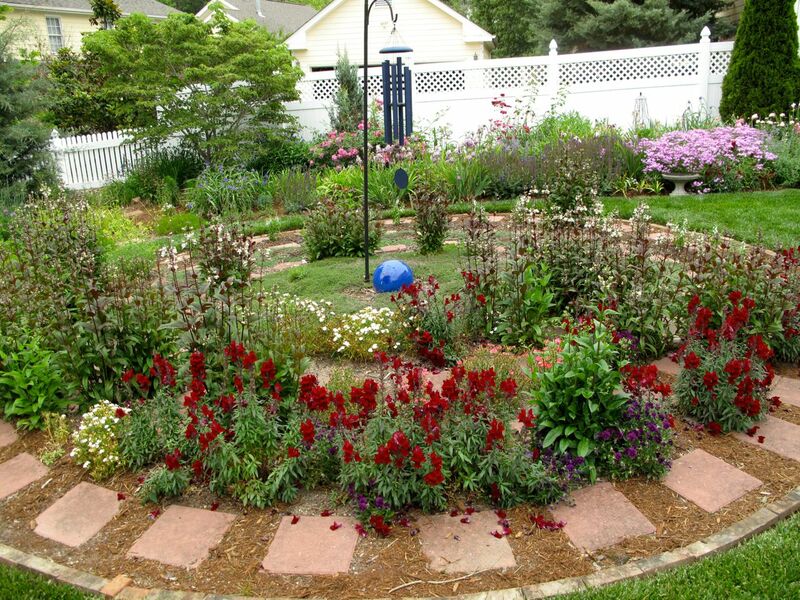 All your work and love for your garden is evident. A beautiful slice of heaven. I’ve spent more time photographing the garden this week than working in it. Must get some serious cleanup done soon. Overall this spring has been ideal. The flowers seem very content. Thanks Stepheny. I love ‘Husker Red’ and have quite a lot of it, but it won’t bloom for at least three weeks. 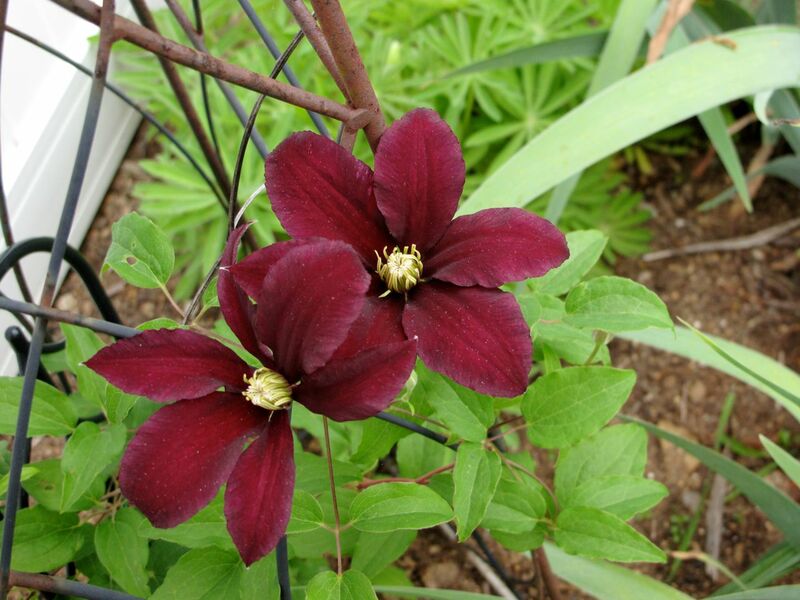 Also love Clematis ‘Henryi’ and ‘Niobe’ – great color! You’re still in tulip season there. They’ve been gone a while here. Husker Red is so reliable. I’m really hoping the clematis like it in my garden this time. Cathy, I tried sitting on that bench this morning with a cup of coffee and before I was halfway through I was up pulling at grass and weeds! The Echinacea took me a bit by surprise too this year. I’m not ready to let spring go. I’m just the same – can’t sit still in the garden for 5 minutes… unless it is in someone else’s garden! LOL! 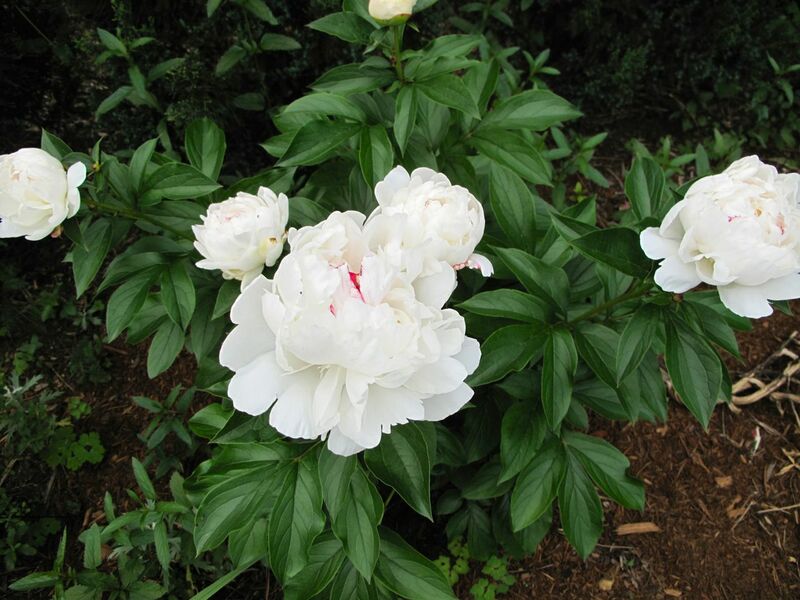 Judy, I’ve always heard peonies do better in a cold area so your must be getting ready to be spectacular. We had a cold winter here and the peonies, rhododendrons and a number of other things seem to be blooming better than ever. 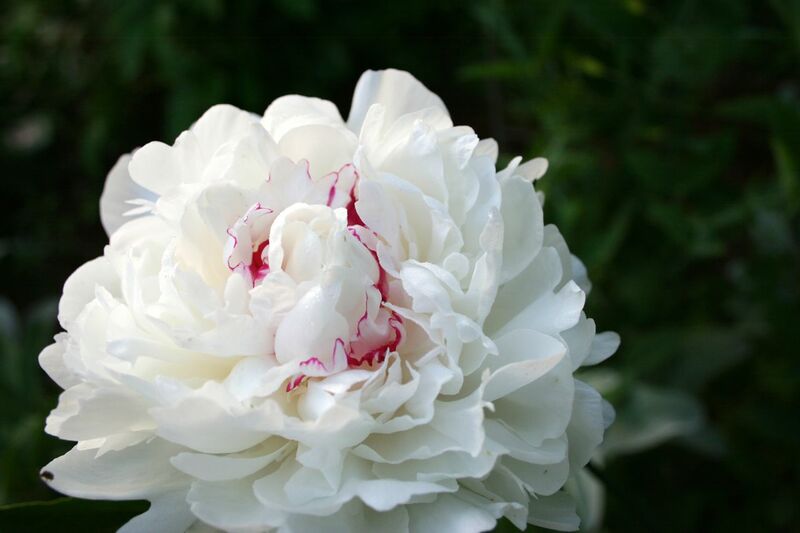 Your peonies are exotically beautiful. I love that tiny touch of raspberry in the white one. 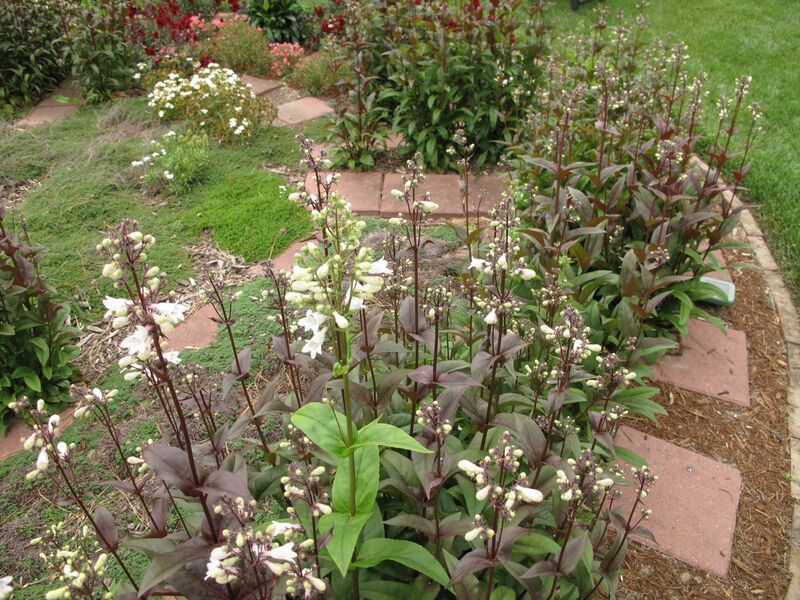 Penstemon Huskers Red has a great form, I think, with that straight red stem. 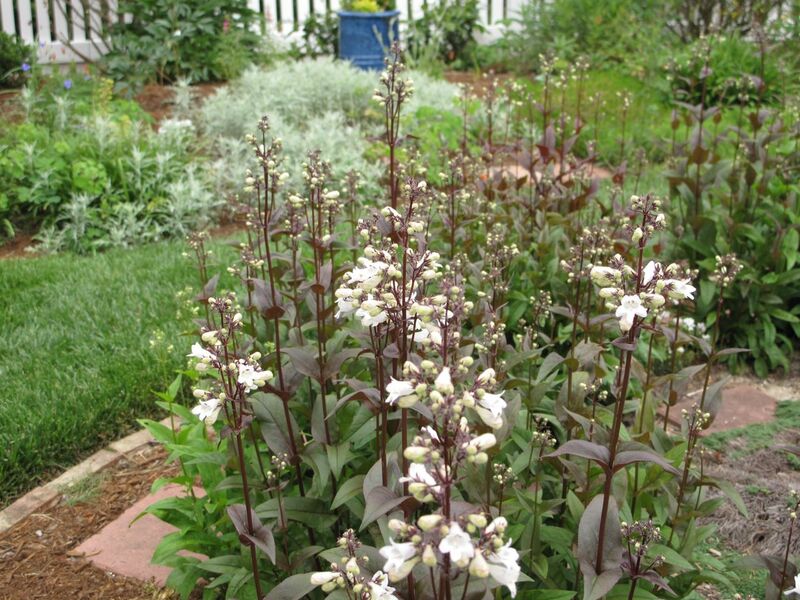 But no Penstemon lives long here. They can’t take the cold winter winds. I love the white planting round your circle. Thanks Linda. I keep trying different things in the labyrinth and always come back to white as my favorite color. It adds serenity. Niobe is a lovely clematis and should reward you with its blooms for long periods in summer; your whole garden is awash with colour! 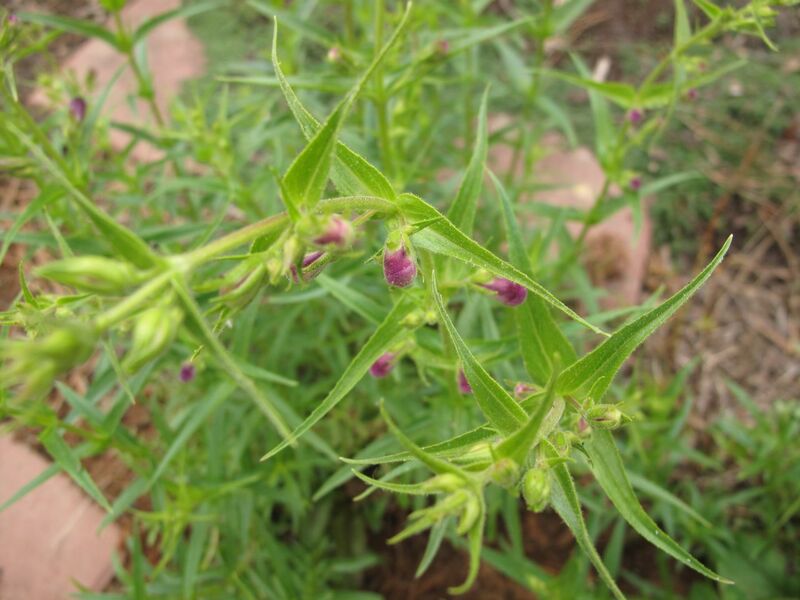 May really is the month for all the plants to bloom. I hope I will be able to sit on that bench with you and enjoy this view of your garden. I love the color of Niobe and hope it will be happy here. The view is hard to predict but the bench is waiting! 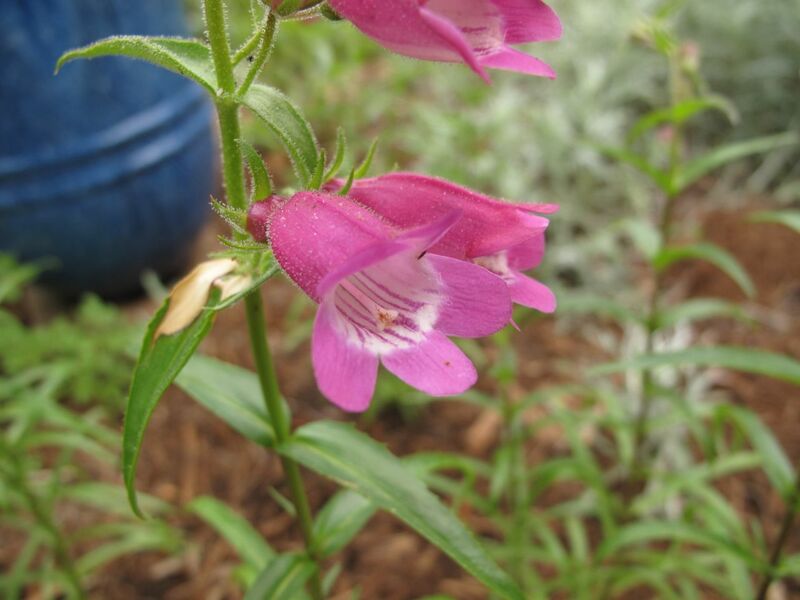 Susie your garden is beautiful right now and I love the red snapdragon against the Penstemon digitalis ‘Husker Red’ ….just beautiful and so serene. I appreciate your kind comment Donna. The heat now is challenging, but in early morning and late evening it still is serene. 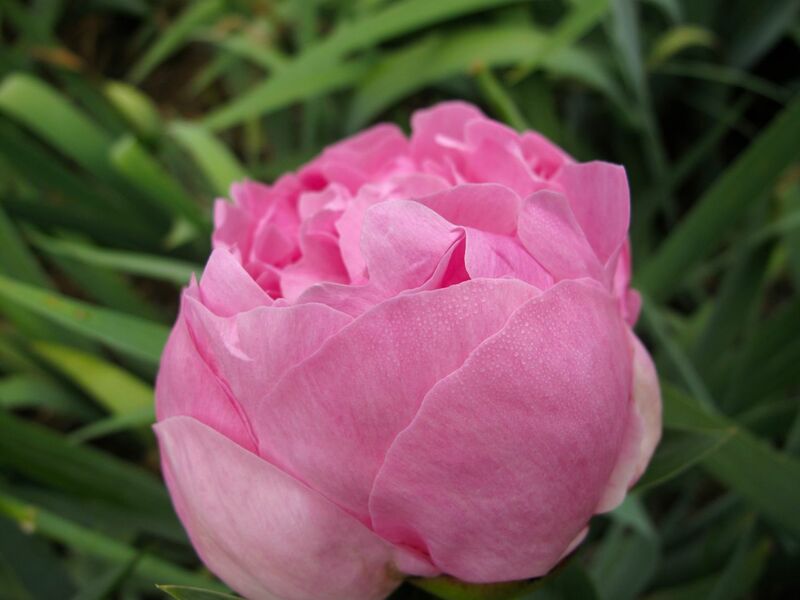 Lovely peonies you have, and such a beautiful color ‘Niobe’. 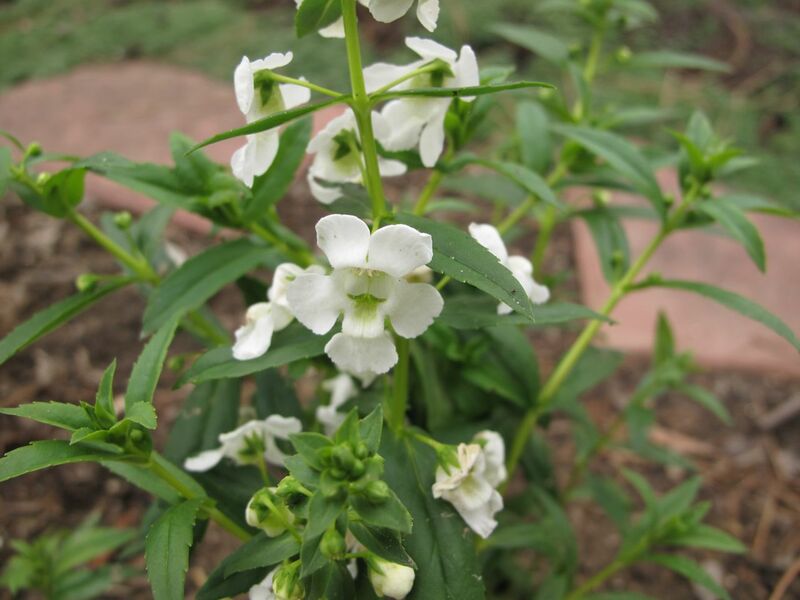 Let us know if it blooms through summer. It’s hard to find clematis that will bloom that long; the ‘Betty Corning’ is one of them. The flower is much smaller though.